Sri Lanka’s Chief of Defense Staff Admiral Ravindra Wijegunaratne has been released on bail by the Fort Magistrate’s Court. The top-ranking military officer appeared before court Wednesday after weeks evading arrest for allegedly protecting the chief suspect in the high-profile murder of 11 youths in 2008 and 2009. 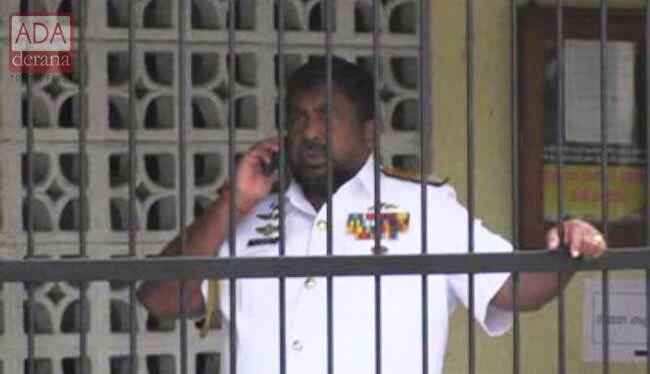 The former Navy Commander is accused of aiding and abetting Lieutenant Commander Chandana Hettiarachchi, also known as ‘Navy Sampath’, the main suspect in the abduction, unlawful detention and murder of 11 youths in 2008 and 2009. Investigators say Wijegunaratne helped Chandana Prasad Hettiarachchi, a navy intelligence officer and chief suspect in the murders, escape arrest. Police believe the 11 victims were murdered while in the illegal custody of the navy. Their bodies were never found. Hettiarachchi Mudiyanselage Chandana Prasad Hettiarachchi alias ‘Navy Sampath’ was arrested by the CID on August 13, 2018 in connection with the abduction, torture, extortion and murder of the 11 persons. He is separately accused of involvement in the 2006 murder of a Tamil legislator. Police recently told the court the admiral had protected the navy intelligence officer, who is the main suspect in the case. Wijegunaratne was summoned to appear at the Criminal Investigations Department (CID) to record a statement.